Governments and organizations around the world mark June 20 by honoring refugees for their struggle and their contribution to their new country with World Refugee Day. As we tackle a humanitarian crisis at the southern border of the United States, this day is an important reminder of why we offer humanitarian protection to individuals fleeing conflict, and their value to our society once they arrive. A refugee is defined both internationally and within the United States as someone who is outside of their country of citizenship and “is unable or unwilling to return to their country of origin owing to a well-founded fear of being persecuted for reasons of race, religion, nationality, membership of a particular social group, or political opinion,” according to the United Nations 1951 Convention and 1967 Protocols related to the status of refugees. The United States became a party to this in 1968. The need for international protection of refugees stemmed out of acknowledging the plight of displaced civilians in Europe due to the World War II. One famous case of refugees seeking asylum during this war was that of MS St. Louis, a ship carrying 937 refugees, many of whom were Jews escaping Nazi Europe. Cuba, the United States, and Canada turned away the MS St. Louis before it eventually returned to Europe. A U.S. State Department “telegram sent to a passenger stated that the passengers must ‘await their turns on the waiting list and qualify for and obtain immigration visas before they may be admissible into the United States.’” About half of the passengers of MS St. Louis did not survive the Holocaust. Today, the United States admits more refugees than anywhere else in the world, and many of them integrate into our communities and go onto become lawful permanent residents. In 2013 alone, the United States admitted 69,926 new refugees, and 77,395 refugees became lawful permanent residents. Almost half of all refugee arrivals in 2013 came from Near East/South Asia, the region that includes Iraq, Iran, Bhutan, and Afghanistan. Once refugees are in the United States, they contribute greatly to our nation. A recent Noble prize winning scientist Martin Karplus, was a refugee, as were Grammy-nominated musician Regina Spektor, the most recent winner of the Boston Marathon Meb Keflezighi, and two former secretary of states, Madeleine Albright and Henry Kissinger. Asylum seekers are also refugees: the difference is largely how we process them. While the United States works with international organizations like UNHCR to select and screen refugees, asylum seekers claim asylum at the port of entry, once they are already within the United States, or when they are in deportation proceedings. The process may be different, but the definition is the same: they are fleeing persecution, violence, and all too often, death. Whether or not the United States government considers an asylum claim to be legitimate has at times been controversial as the decisions intersect with our nation’s foreign policy. 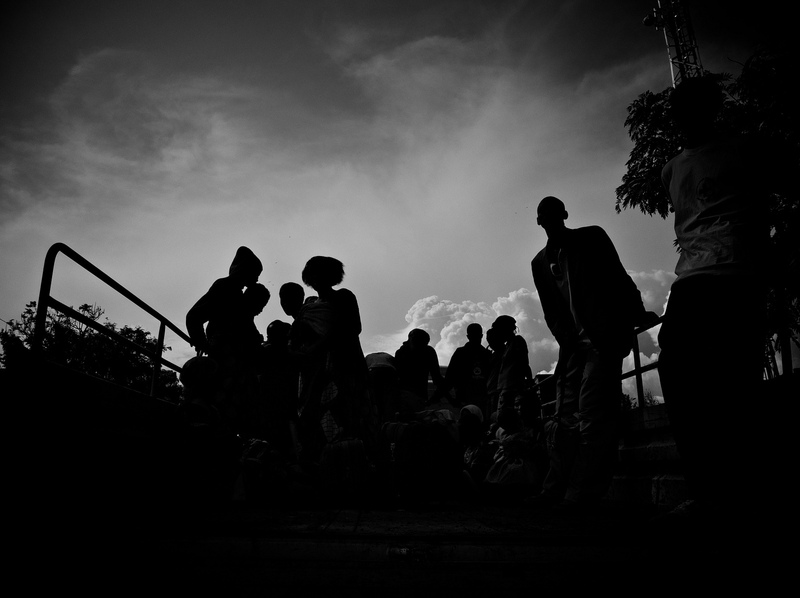 Asylum seekers fleeing communist Cuba received asylum, while Haitians arriving during the height of the country’s political upheaval in the 1990s, did not. In the 1980s, the Regan administration “denied that the Salvadoran and Guatemalan governments had violated human rights”—governments that the administration supported in their fight against socialist revolutionaries. These migrants were characterized by the United States as “economic migrants” despite UNHCR’s refugee camps for Guatemalans and Canada’s acceptance of the refugee status of both Guatemalans and Salvadorans. On World Refugee Day, it is important to keep in mind that history remembers how governments respond to humanitarian need, and that there are very real consequences for refugees summarily turned away at our borders.